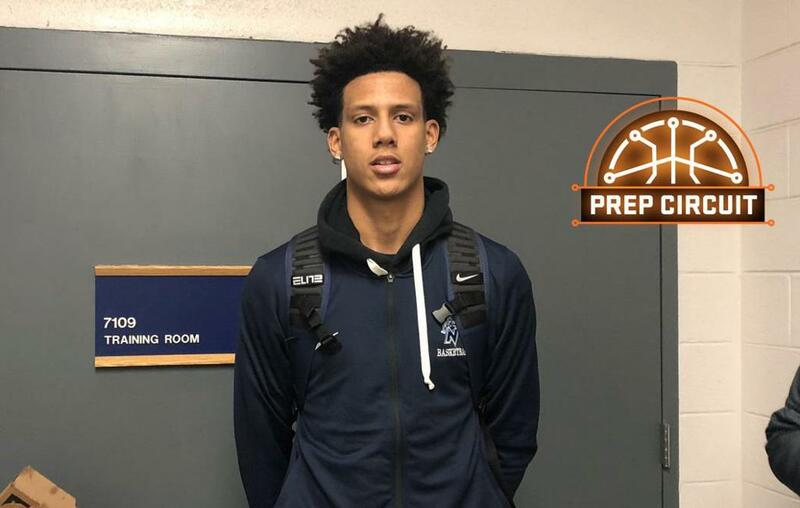 Five-Star Jalen Johnson took the National Hoopfest by storm this year and made a strong case for being regarded as the top class of 2020 prospect in the nation. The Nicolet (WI) junior came into this event looking to prove something. Johnson sees himself as the top prospect in the class of 2020 and makes sure he plays like it whenever he is on the floor. He thinks what separates him from others in his class is his willingness to put his team first. Johnson is a bit further down the line than most are with the recruitment process. He has already taken three official visits to Duke, Arizona, and UCLA. The Duke Blue Devils were his first visit and he liked the pitch he got from them. The next visit for him was the Arizona Wildcats where head coach Sean Miller spoke to him about how he can fit in with their program. UCLA was his most recent visit and a big part of what the coaching staff told him was what the school can do for him off the court. Johnson attended Kentucky’s Big Blue Madness and he was blown away with the environment there. He also got a chance to talk with John Calipari about what he has planned for the 2020 prospect. A Big East program could be the next to receive an official visit from Johnson. Johnson is intrigued with the history Georgetown has and the amount he can learn from head coach Patrick Ewing. The Wisconsin Badgers have been recruiting him hard for quite some time and he recognizes how special it could be to stay home for college.